After a five-figure number of gigs in front of a six-figure number of fans Delirious are putting plans together for one final tour. Taking in six dates in the UK and further gigs across mainland Europe the band who have helped redefine the very fabric of modern worship will make these dates their last. These are not just the final gigs of one band or even the close of a remarkable chapter. It's the end of an era. Delirious crafted for themselves a unique place in so many people's hearts and to commemorate this Delirious have been busy compiling their Greatest Hits album entitled 'History Makers'. This stunning collection of songs have inspired a generation of worshipper to live life out loud. Delirious? 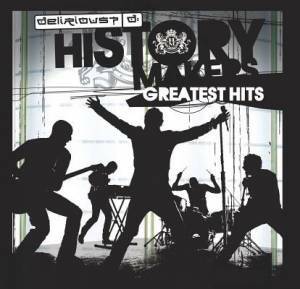 History Makers: Greatest Hits by Delirious? was published by Integrity Music in January 2009 and is our 2603rd best seller. The ISBN for Delirious? History Makers: Greatest Hits is 5019282517125. Be the first to review Delirious? History Makers: Greatest Hits! Got a question? No problem! Just click here to ask us about Delirious? History Makers: Greatest Hits.